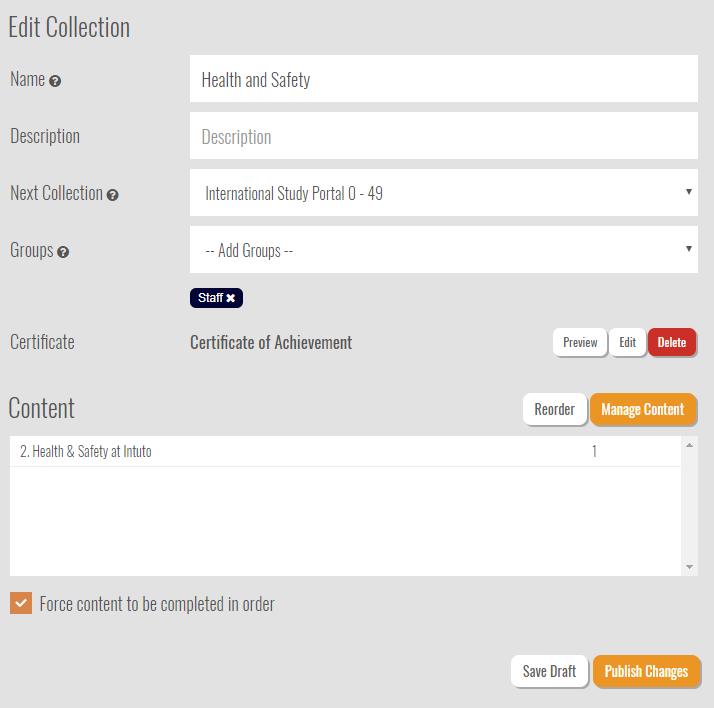 We are very excited about this month's update - we have added some great new features around Certificates and Course Collections. These changes will allow for easier management of courses and enrolments. 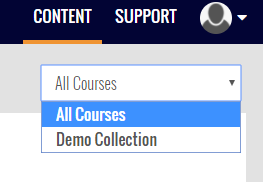 Specifically, the new course collections feature will provide pathways of learning, meaning you can control the order in which users complete content without having to enrol them one by one. The biggest changes can be seen on the Site Settings -> Collections page accessible at the top left of Intuto next to your logo. You'll see we’ve replaced certificates with Collections. All certificates now relate to a collection. You can also have course collections without a certificate. Users will now also be able to select collections from a drop-down menu on the content page to help them find their content. We've been working on fine-tuning the performance behind the scenes to help improve the performance of Intuto. You won't see anything flashy on the front, but you should see enhanced speed across the site. Each month we try to add new functionality and tools for our customers, but just as important is improving what we currently have. In this update, we've completed a lot of minor fixes and developments, which should improve your experience in Intuto. As a result of the update, some of you may find that when you next login, the page doesn't load perfectly or it comes up looking blank. If this happens, just refresh your browser and it will go back to looking normal. Hard reload using Ctrl + Shift + R.